It was given as a gift. It was of high quality and well-crafted, I would recommend this and will buy future gifts from Miles Kimball. He's the perfect size for a wall hanging! 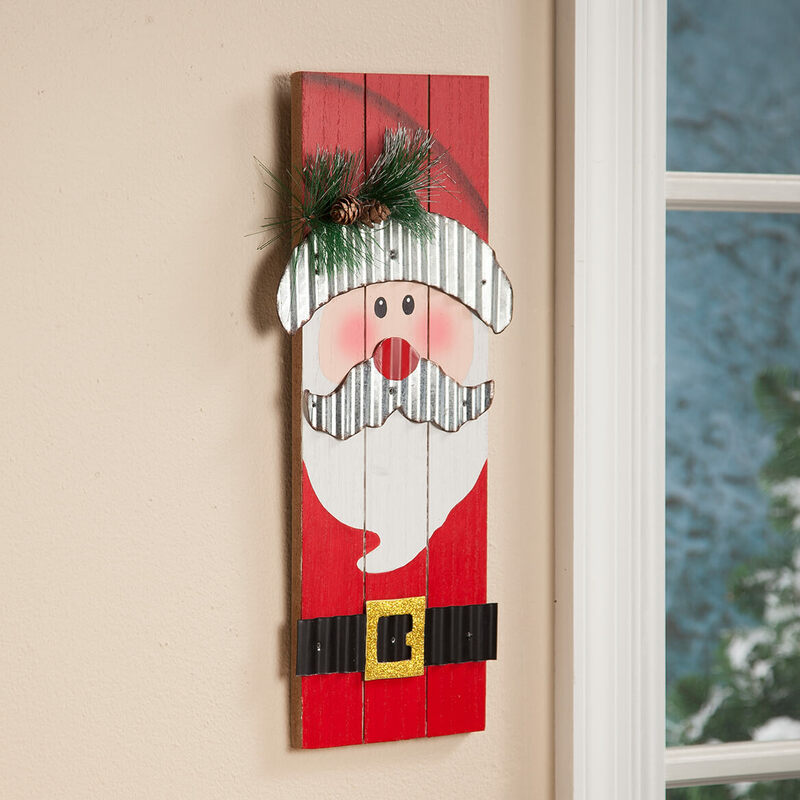 Santa is hanging on our wall next to the tree. He looks pretty cute with the snowman! Bought these for my 3 daughter-in-laws for Christmas. When my wife saw them she wanted one too. So, I bought 4 Santa's and 4 Snowmen. Reasonable price. Constructed to last a long time and a lot of grandkids. MERRY CHRISTMAS & HAPPY NEW YEAR ! 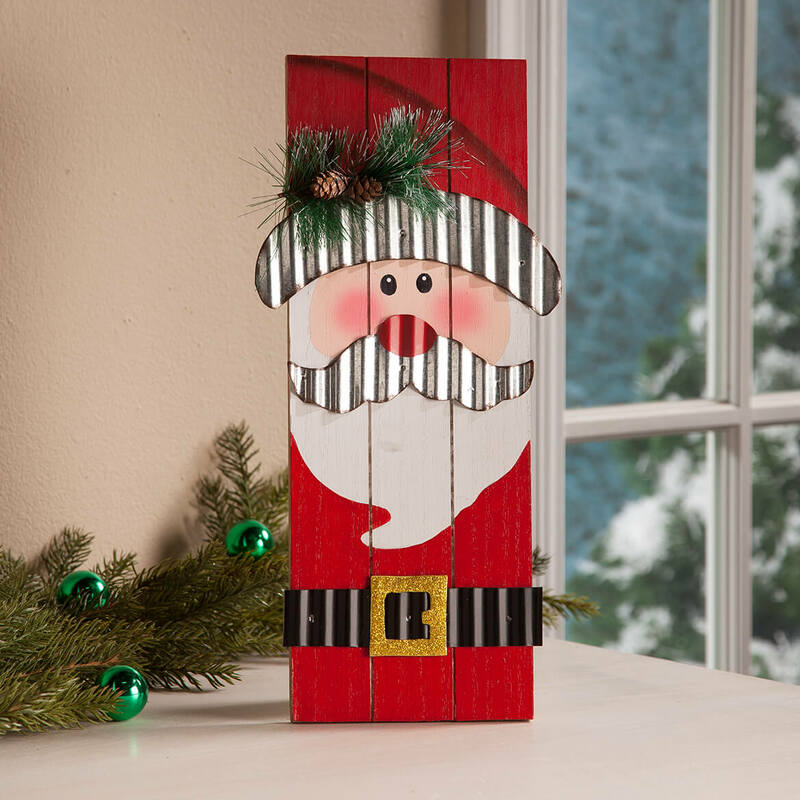 I am not a huge 'Santa' fan for decorating, but the size of this will be perfect, without overwhelming my other holiday decor. I would buy gifts again at Miles Kimball. This was given as a gift and was truly a well-received gift. It is crafted and designed of high quality. Price and I love to hang pics on the wall for xmas. Perfect size for my windows; others are too large! I like different things and this looked like something I had that I lost in a total house fire. Looks adorable and priced right. Thought it was really cute. I plan to hang this on the wall so people can see it when they walk in my door! 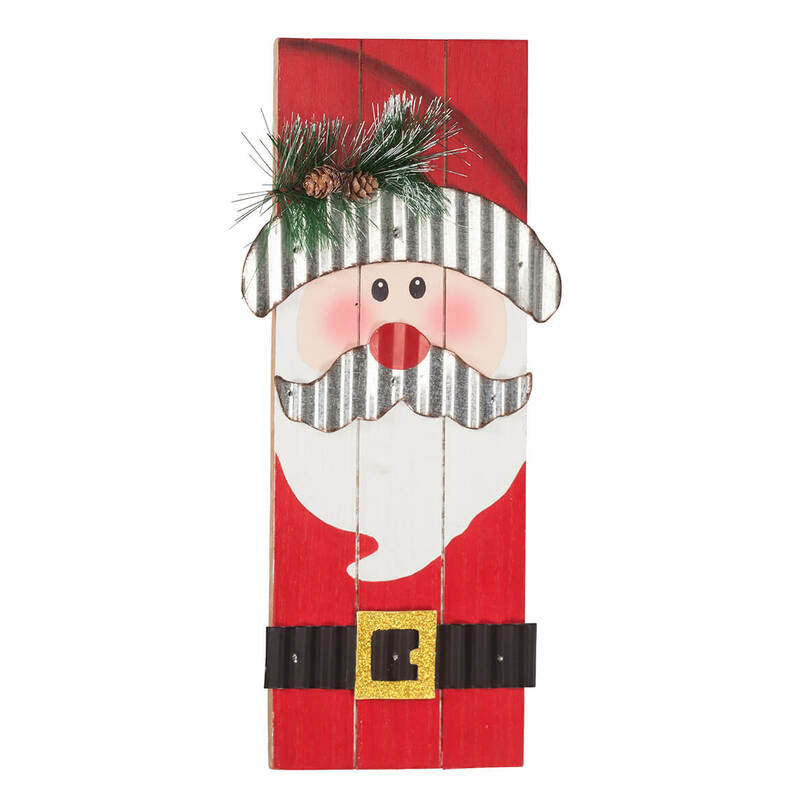 I liked the Santa look on these boards. It will look fun and perky on our walls. Thought my grandchildren would like it.